Yes, it’s the highlight of summer! Come sail with us for a night of fun to see the July 4th Fireworks. 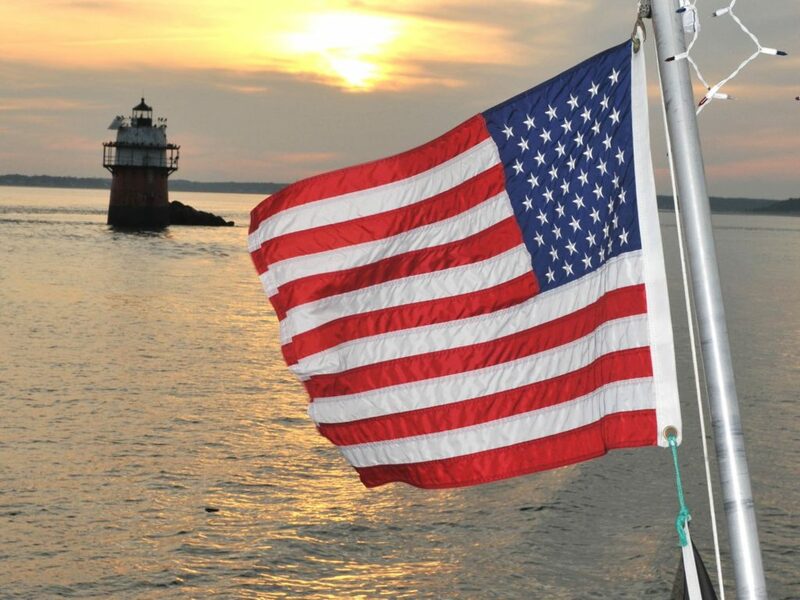 Prior to the fireworks display, we will cruise around Plymouth Harbor, take in a sunset, enjoy some food and listen to music. A cash bar will be available onboard to purchase alcoholic and non-alcoholic beverages. No alcoholic beverages are allowed to be brought on board due to Massachusetts State Law and Licensing Regulations. Boarding begins at 7:00 pm – Boat will depart the dock at 7:30 pm – We will return to the dock following the fireworks display at approximately 10:00 pm.